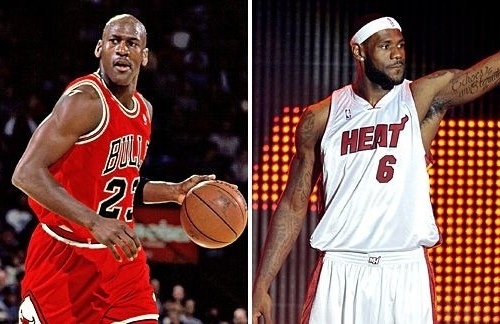 “I don’t know if (James) has the ability to surpass (Jordan) or not, That’s yet to be seen. My version as LeBron being on par with Michael is this: They’re both on the golf course. Michael’s on the 18th hole. LeBron is somewhere on like the fourth hole. He’s got a long way to go, but he’s on par to get to the 18th hole. I honestly don’t think that the two can be compared. They have two different styles of playing. I never really understood why they ever compared lebron to Kobe Bryant and Michael Jordan. I feel Lebron is in the road to become a legend in his OWN light. That’s just my opinion tell me what you guys think!